I have tested a crochet pattern for a kimono. The designer is Maria Valles. The kimono is composed by 2 hexagones. The construction is quite clever : the folding makes the sleeve and the two pieces are assembled to form the back. 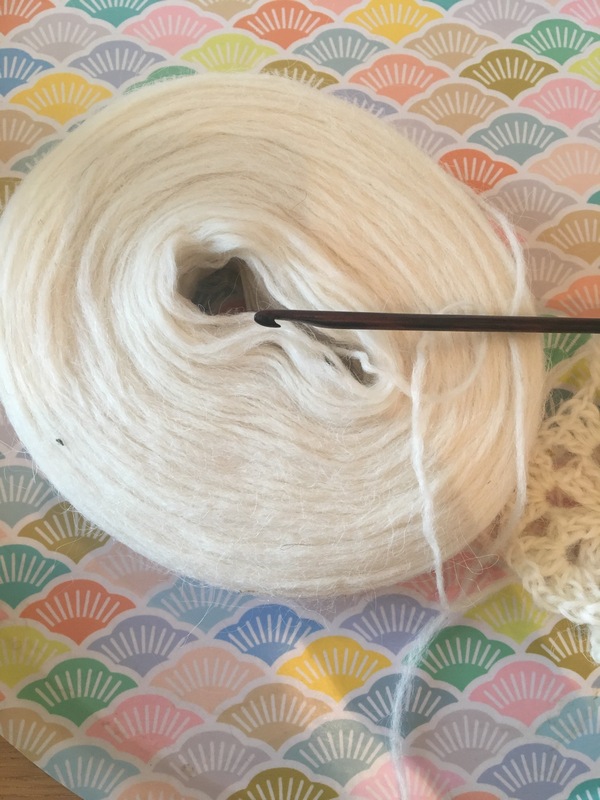 The wool I used is the one recommended by the pattern. It is unspun wool from Island. This wool is very light but super warm. I could not find a store in the uk that sold it. 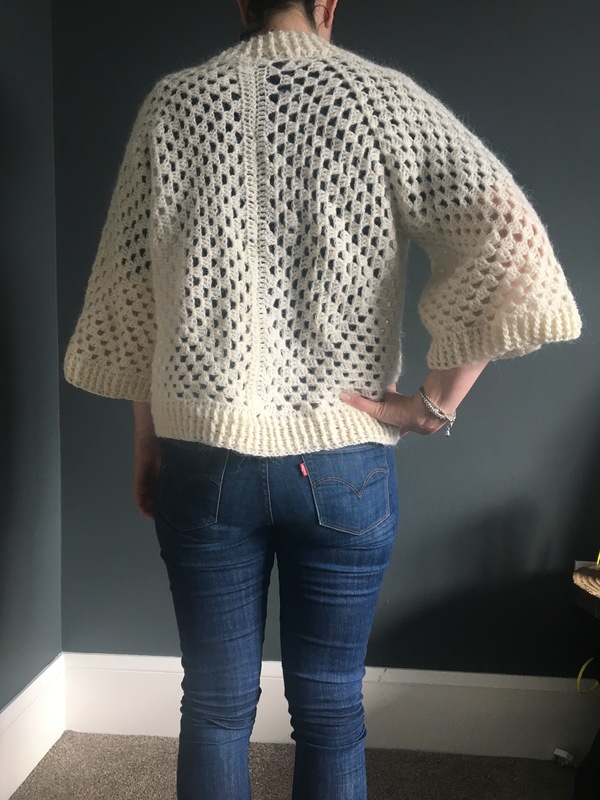 The pattern requires 4 skeins : it is not much and the wool is not very expensive but I paid a bit in delivery charges. After blocking the kimono, the drape is very nice. The pattern is versatile and the length can be changed. 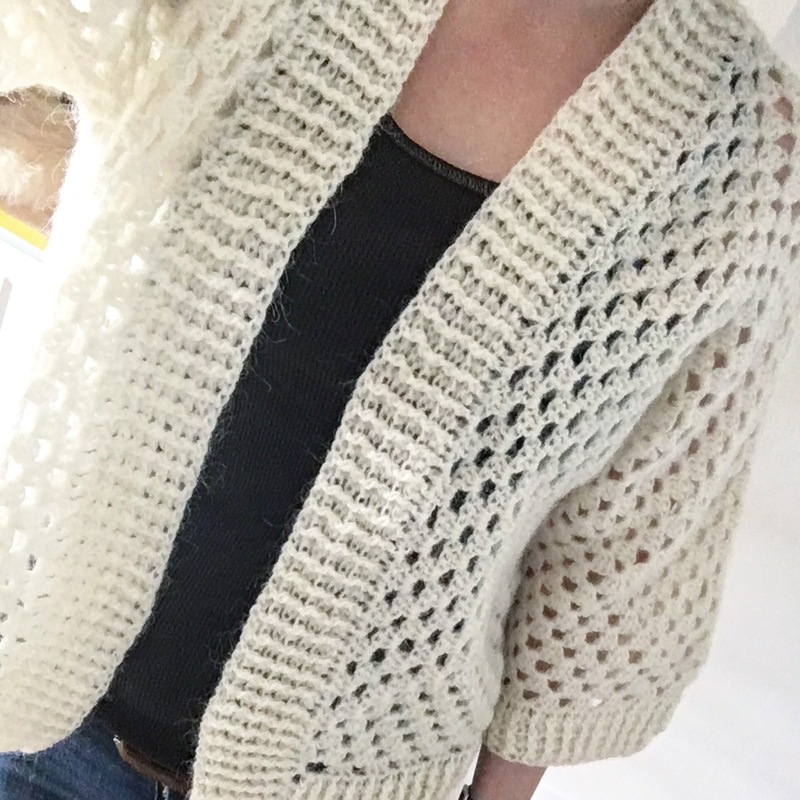 Magnifique ta petite veste kimono au crochet, la couleur est sublime. Bravo ! Merci ! Oui j’aime beaucoup cette couleur aussi ! Elle est très réussie ta veste. J’aime beaucoup !! Il est super beau et il te va parfaitement ! Je trouve la forme vraiment géniale ! je suis amoureuse de ton gilet!! Merci !il est très simple à faire !